Pelosi’s trip to Italy and Ukraine from July 30 to Aug. 6, 2015, cost the Air Force $184,587.81, according to documents released Saturday under a 2015 Freedom of Information Act (FOIA) lawsuit by Judicial Watch. Her delegation was made up of other Democratic members of Congress, including California Rep. Anna Eshoo, after “token” Republican Wisconsin Rep. Jim Sensenbrenner pulled out last minute, reported The Washington Post in 2015. Overall, Pelosi’s European excursion cost the Air Force about the same amount of money it would take to send a student to Harvard University for four years. Judicial Watch compared the trip to Republican Colorado Sen. Cory Gardner’s CODEL trip with multiple stops in east Asia in August 2015. The trip led by Gardner, a member of the Senate Foreign Relations Committee, cost at least $26,009.03 for commercial flights and per diems, according to records cited by Judicial Watch. Pelosi blamed Trump after she canceled her congressional delegation (CODEL) to Afghanistan, reasoning that Trump’s public suggestion that she fly commercial had made the trip too high-profile and dangerous. The speaker was planning to embark on a trip to Belgium, Egypt and Afghanistan Thursday when Trump essentially canceled it last-minute via letter. Trump’s letter came a day after Pelosi sent him a letter Wednesday seeking to delay his State of the Union address until after the shutdown ends. Trump’s address is scheduled for Jan. 29. 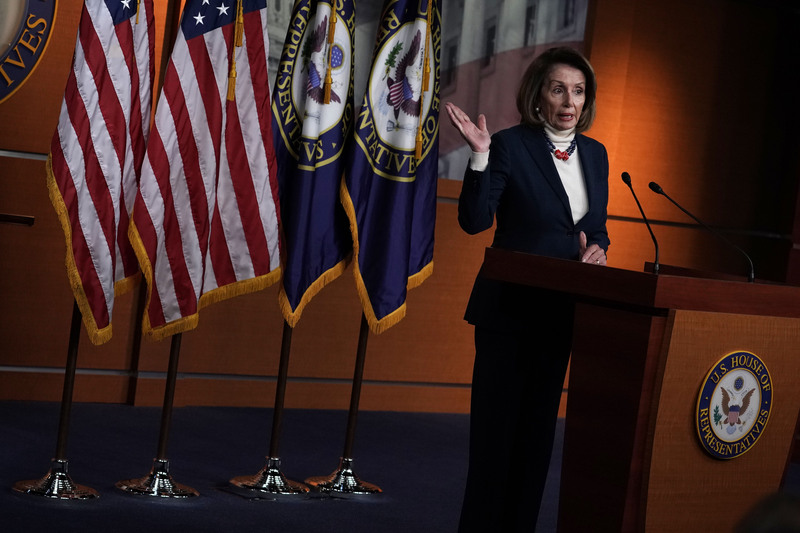 Many congressional Republicans have floated plans to allow Trump to bypass Pelosi’s invitation to deliver the address. Republican Kentucky Sen. Rand Paul suggested Trump bypass the House of Representatives entirely and deliver the speech from the Senate floor Thursday. The Daily Caller News Foundation requested comment from Pelosi’s office but did not receive a response at the time of publication. EDITOR’S NOTE: This post previously stated Rep. Marcia Fudge was a part of the 2015 CODEL trip to Italy and Ukraine due to a July 15 document listing her as part of the delegation. It has been updated to reflect that Fudge did not go on the trip.